i must give this a 10 cause i can think of anything wrong with this ride. 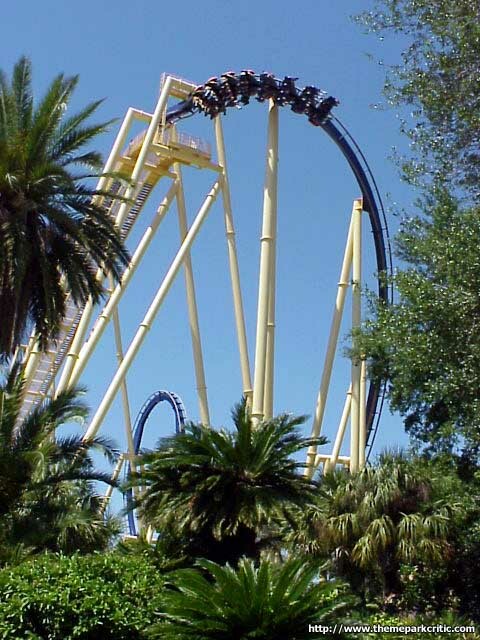 Its my favorite roller coaster and its by far the best on in busch gardens. its the first roller coaster i rode that had a loop and i remember the first time and wow it is such a good ride. the thrill factor from start to finish is great from start to finish. let me go trought the ride. when u leave the train station your so excited so then u go down the first mini drop and the speed picks up. then on the lift hill your excitement level goes higher. i like how u can see some of tampa and your car. n e ways. the drop is outstanding. 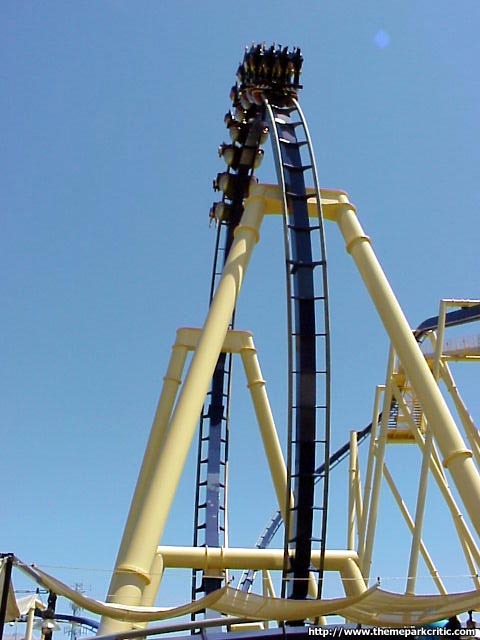 i remember the first time i couldent even breath on the drop. by far thats my favorite part of the whole ride. then the first loop. wow. 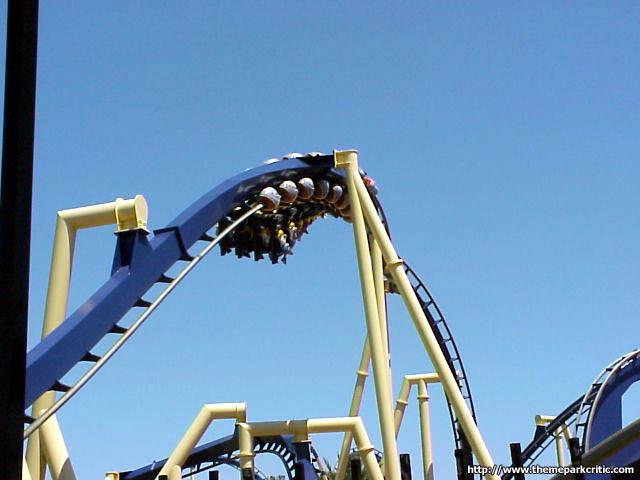 i love roller coasters with a loop in the beginning its a perfect loop for that drop. well i would go throught the rest of the ride but its to long. 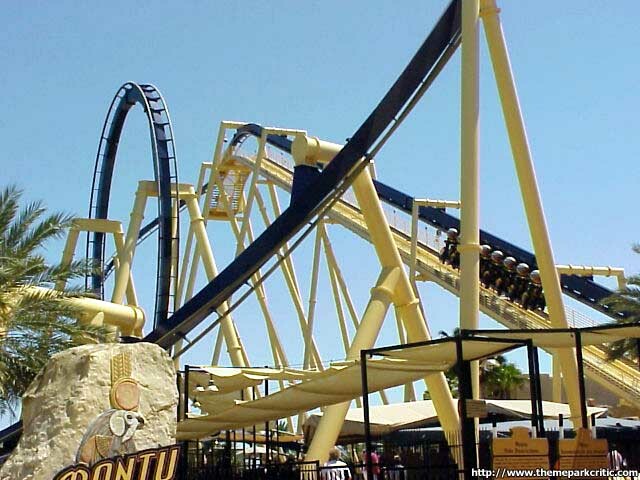 so to make it short montu is the best roller coaster in florida i think. 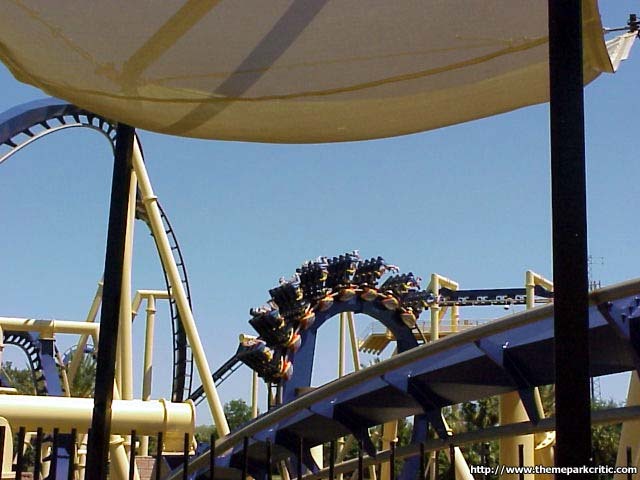 Flat out incredible invert thats just behind Carowinds Top Gun and Talon for my favorite invert. 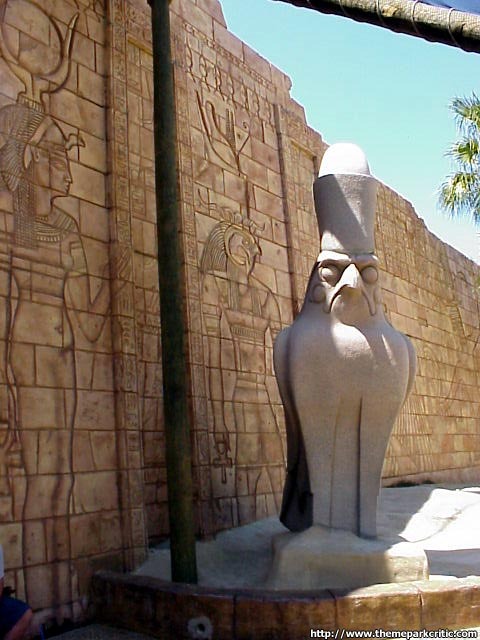 Busch went all out with the Egyptian theming, and the ride interacts very well with the valleys and such. The first drop was good, but it was the intensity of the forceful inversions that won me over. 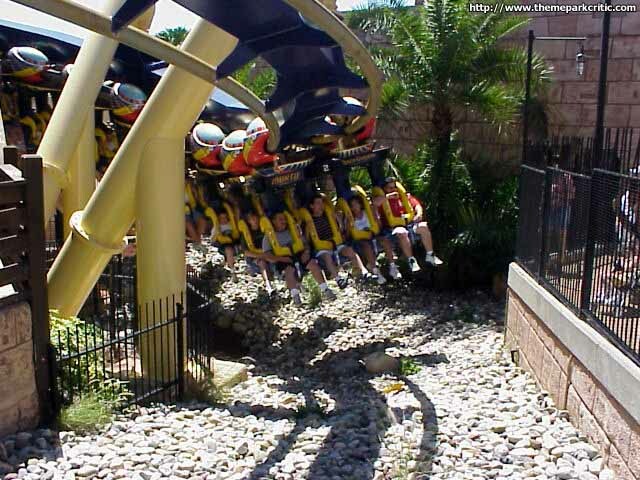 The immelman was very disorienting and fast, and the cobra roll and vertical loops also delivered powerful forces. This was fun, thrilling, and probably my favorite invert. However, the trims really slow down the ride. It is still a great ride! I rode itlast week in front seat and i was awesome , that wasnt the first time that i rode it but this was special and pretty awesome. 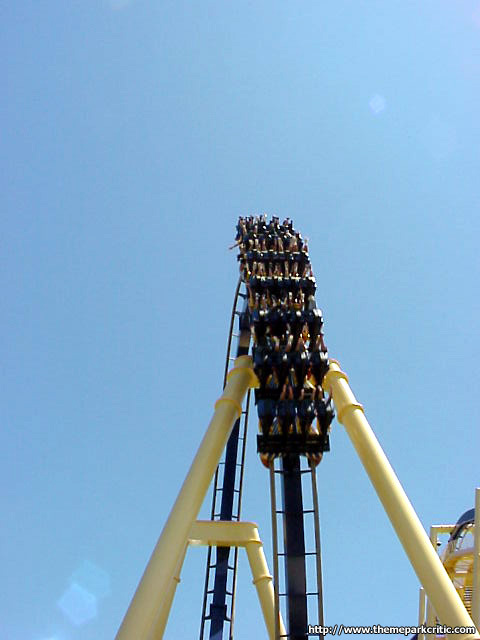 No head bang, it was pretty comfy and has a grat time..
Montu at Busch Gardens Africa is my vote for the best coaster in Florida. The elements that are thrown in there are amazing, the theming is good for busch gardens standards, and the flow of the ride is just great. The Blue and Yellow color fits perfect with the Egypt theme,couldnt have picked a better color. 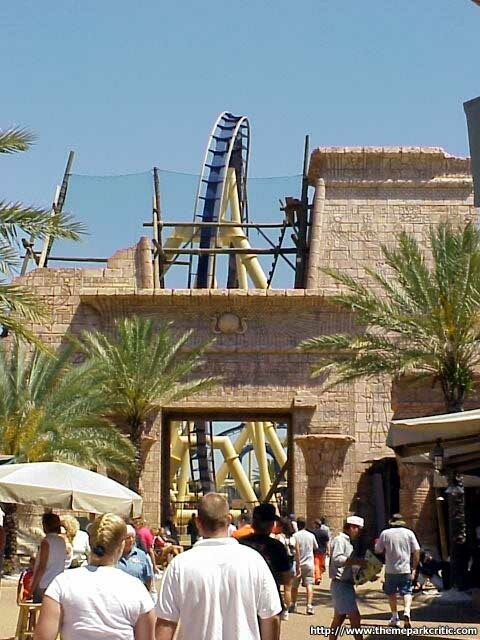 Walking through Egypt and seeing the Immelmann over that wall gives an exciting preview of what your about to experience. As it goes for theming in the line quee, its just ok, nothing really intresting or spectacular there. What they should of have done for the line area is they should have made tuts tomb the area you wait in line in. Its dark and would be intresting to look at while your waiting in line (which doesent really matter anyways because there is never really a line) Overall, the theming for montu isnt Expedition Everest or Dueling Dragons, but its good and it gives montu a little spice. As for the ride, the elements fit perfect for the track layout. I remember back when they used to have the live gators in that little moat where you would first leave the loading station and swoop right over them to the lift hill. That was intense and a unique effect. Too bad they were moved. Anyways the first 104 ft loop is incredible and is a great way to start the ride off. Then coming out of a small tunnel you hit that immelmann, which is also a good element that is thrown into the track layout. The Zero-G roll, Batwing, and 60 ft loop are also added in the mix. My Favorite element of the whole coaster is that wing over corkscrew just at the end of the ride. 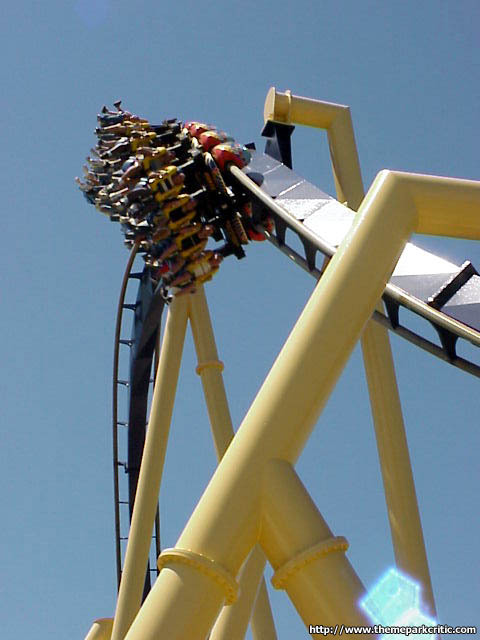 You think the ride is about to end but then that corkscrew seems to just come out of nowhere, especially if your in the backrow you dont expect it at all. Overall, Montu is an excellent rollercoaster. Its smooth, it keeps you off your feet (literally) and keeps you guessing at every turn. The time length is perfect, I didnt walk off the ride asking myself "is that it"? It gives the satisfaction you want when your expecting to ride a great rollercoaster. 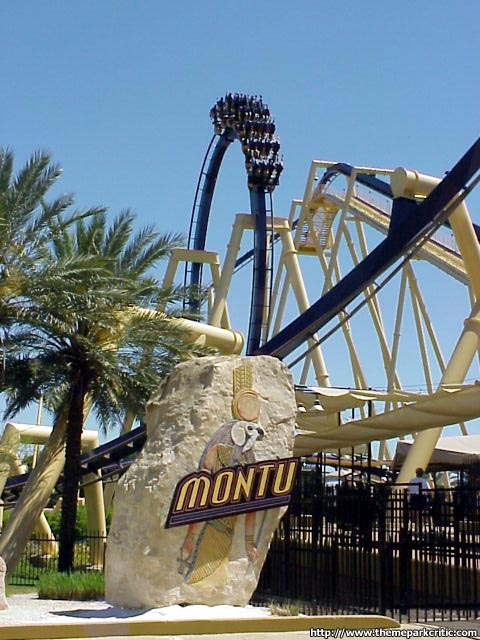 Montu is a must for anyone who is visiting Busch Gardens Tampa and if your a coaster lover and have not ridden montu yet, try to get to Busch Gardens as soon as you can. Its worth every minunte of your time and every cent of your money! 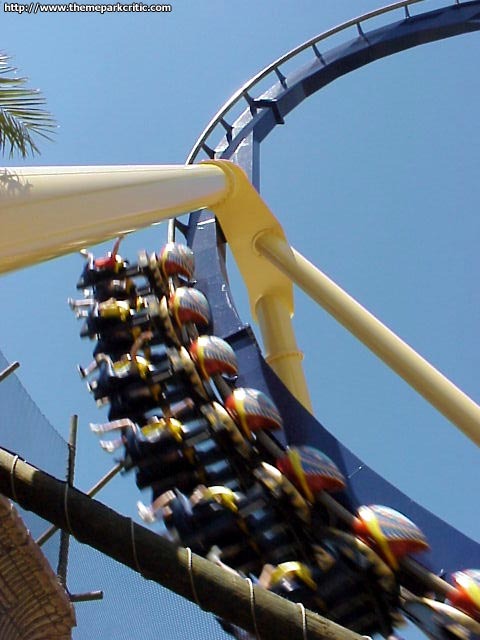 I hadnt ridden Montu in over 6 years, and wasnt sure if it would be the same ride I remembered, as most coasters tend to deteriorate with age and SheiKra now appeared to be the alpha coaster at BGT, but as Ive discovered time and time again with rides, looks can be and usually are deceiving. Curb appeal aside, Montus got it all: a satifyingly long and intense ride that doesnt let up from the top of the lift hill to the brake run, and its as smooth as the day it opened, with none of the painful headbanging usually experienced on older steel coasters. If you close your eyes it doesnt feel like youre on a coaster at all; it feels like youre actually flying, a sensation I have yet to experience on any other coaster in this country. Im not sure if this is due to meticulous maintenance, Montu being a B&M, or a combination of both, but the overall quality of this ride far exceeded my expectations (cant quite say the same for SheiKra). Capacity wasnt a problem either, as three trains were running while the park was only moderately busy. We waited 20 minutes for the front row and it was definitely worth it, with no one in front of us blocking our view. 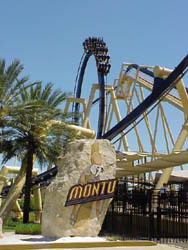 Without a doubt Montu is still my favorite coaster at BGT, and one of my top coasters overall. 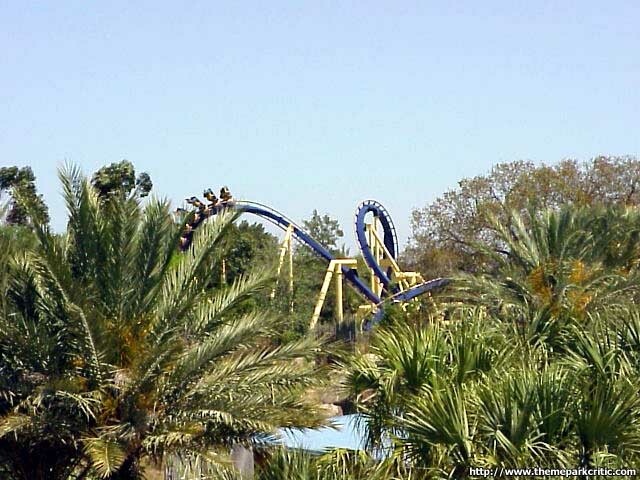 When I was planning my trip to Busch Gardens Africa I kept getting Kumba and Montu confused. Despite having read the rcdb pages on BGAs coasters several times, I just never could keep them straight in my head. This was likely because I was very intrigued by Sheikra at the time. 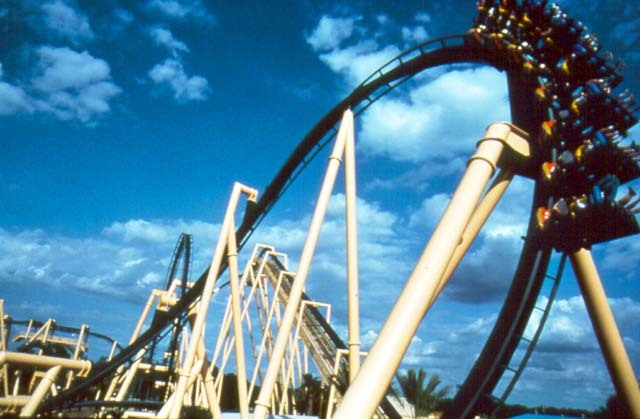 In fact, I rode Montu dead last after riding all the other coasters at BGA, including the now dead Python. As we ascended the lift hill in the front seat I casually chatted with my girlfriend, and really wasnt expecting much out of this night ride. The train started to drop towards the first loop, and all hell broke loose. The ride was B&M at its finest: intense, fast, forceful, yet amazingly nimble despite all the craziness going on. There is not one iota of roughness on this ride. It seems to dance through its twisted course with the grace of an olympic figure skater. The MCBR did slow the ride a bit, but it seemed to quickly recover, as if it was laughing at the feeble brake run. That last inversion, which comes at you out of nowhere, really tops off an already excellent ride. I got off my first ride hooked like a crackhead, and we ran right back into the queue. Sadly, I only got three rides that night, all of them in the front seat. I wanted more, much more. After that first Montu ride, I had zero interest in the other coasters at BGA. Sheikra, the coaster that brought me out, seemed like a pure gimmick machine. To me this is the best ride at BGA, by a wide margin. 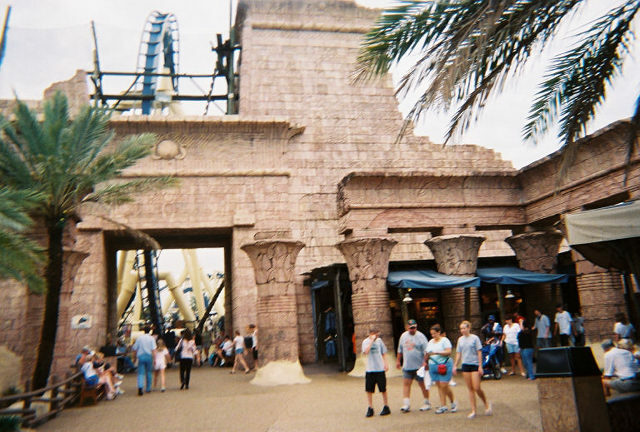 I rode both of the Dueling Dragons the following day, and found them both to be inferior to Montu. This is my current number 1. I understand that some people say this ride used to be better before the trims, but I have the advantage of not having ridden it in the old days. I noticed little to no slow down, except for a bit at the MCBR, which was quickly overcome. Edit: After reconsidering my recent experience, Im pushing this back up to 10 to make my top 10 more consistent. 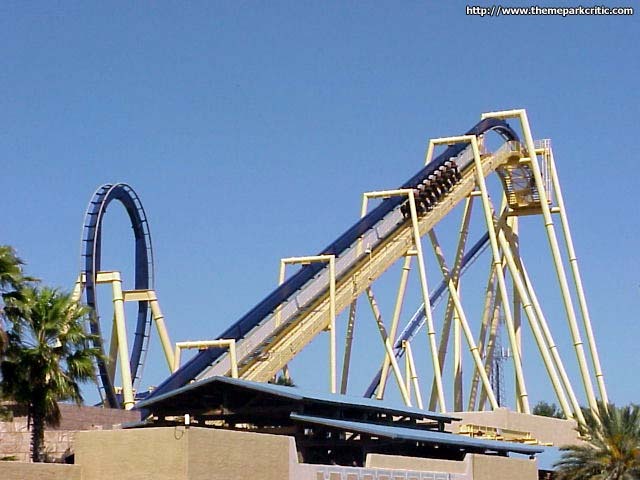 My favorite United States invert and overall just a flawless ride. I must say however I had more fun on Sheikra, but that was due to the uniqueness of it. APPEARANCE-10 The canyons and things you cut through are just amazing. 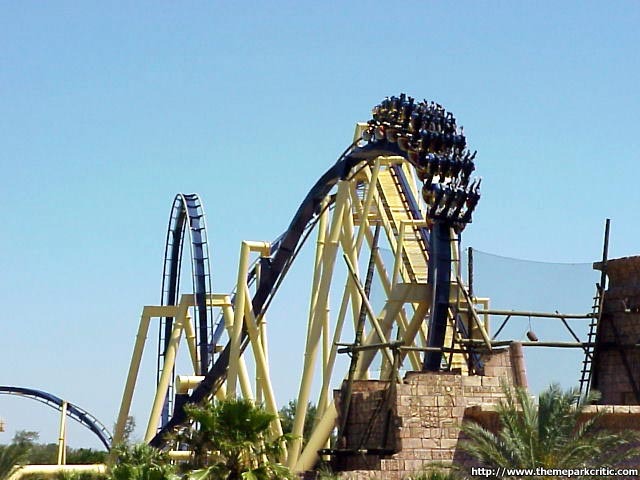 The way it works with the Egyptian theme and the cool color scheme make for a great ride. CAPACITY-9 Most rides at BGA just did not feel like they were run to the best of their abilities. Now this line wasnt bad, however it was not fantastic either. RIDE QUALITY-10 Amazing elements, great scenary and perfect interaction between the two make for inverted perfection, fAlls behind Nemesis though on intensity and themeing. FUN-9 A super good time but for some reason it was just not quite there on fun. I have no idea why since it is my second favorite invert, but not on the fun scale. RERIDE-10 Definately. We had to really rush through BGA on a Saturday so I didnt get to spend nearly the amount of time I would like, so on a return visit this would definately be a must ride. OVERALL-48 AVG-9.6 I will go with the ten since I only have minor complaints. Anyone loving this should try to get to Alton Towers. WoW! Today was the first time I have ridden that coaster and it was awesome. It is extremely long but Im not complaining whatsoever. I hope to ride on more like this one.